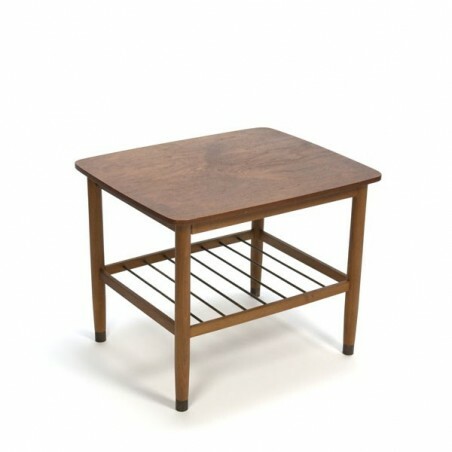 Vintage side table from the mid sixties, Denmark. 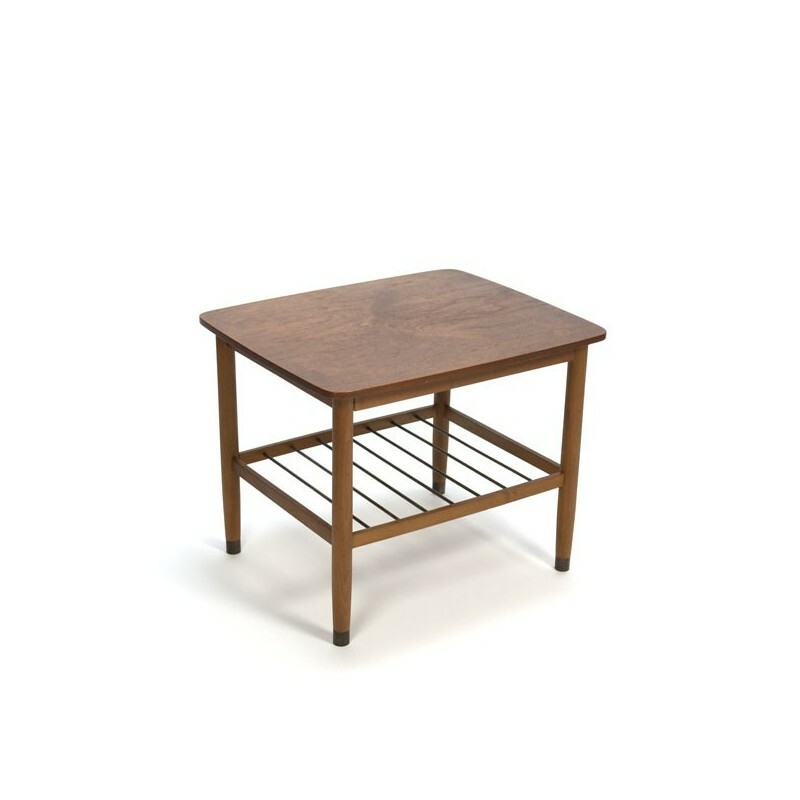 The table is made of teak and has brass details, see for example the legs. Under the top is room for example magazines. The condition is good considering the age, slight traces of use. The dimension is 60.5 cm L / 50.5 cm W/ 48 cm H.